This study gives an examination on how the social entrepreneurship and value addition model can economically improve the livelihood of the community. It limits its research to Husk Power System and its operations to Bihar village of India. The results of the findings may not be conclusive enough to offer the overall school of thought on all the networks of social entrepreneurs in India. The HPS model here is based on value enhancement and product creation and may fit well into a pure service economy just like most companies. The study finding indicates that the residents have been empowered economically, socially and environmentally. Future studies and paper reviews should draw more insight on the heterogeneous study environment coming from different sectors of the economy. The study from multiple areas will give a holistic view of the impact of social environment when applied across different spheres of social entrepreneurship. According to Bornstein and Davis in their article titled Social entrepreneurship and what everyone should know, they define social entrepreneurship as the process whereby individuals or an organization builds a transformation based institution that advances solutions to social problems. This research study aims to get deep insight into an award-winning social entrepreneurship model invented to provide a solution to power scarcity problem facing close to 400 million Indians living in the rural areas. Two entrepreneurs from the region of Bihar teamed up to develop Husk Power System that uses waste from rice milling to generate electricity. The fact that the problem of power scarcity is a social issue makes this invention hence a modern day social entrepreneurship. The research goes further to establish the impacts this company has done in the lives of the people living in the rural areas of India who could not access reliable electricity supply from the countries national grid. Keywords: Rural Entrepreneurship, Technology & Innovation, Sustainable Business, Business Model Innovation. The social entrepreneurship is a transformation agenda championed by individuals or organizations seeking to provide solutions to social problems. According to Bornstein and Davis, Bill Drayton the founder of Ashoka got great inspiration of social change on his visit to India. He observed that an organization acts as the holistic umbrella and the individuals are like the idea champions by advancing change and working beyond the scope of the company. They also have a thirst of mentoring others to discover their talents and be better change agents. Historically, social entrepreneurship has existed. It exhibited in ancient figures such as the Mahatma Gandhi or St. Francis, through societal social changes that seem equivalents to the modern day social entrepreneurship. Social enterprise comes as a response to global forces that have the effect on people’s life. About a century ago American experienced changes that significantly affected the social life of its citizens; these were the rise of the private sector, urbanization, the rise of capitalism and rapid development of the industry. American, for example, responded to this social problem by establishing programs and organization such as Salvation Army, Hull House, and the Boy Scouts. Today, social entrepreneurship constitutes the responsiveness on that part of the global citizenry to changes that had taken place in the past or occurring now on the world stage. There have been significant social variations in the past half-century such as the fall of authoritarian and communist rules, resulting in freedom across the world. Though rural to town migration has fuelled the social problems such as the rise of slums harboring violent and unhealthy criminals, the freedom has come with greater creation of wealth, increased life expectancy, and a more cohesive and harmonious world. In India, the society views social entrepreneurs with great respect. They draw much inspiration from Gandhi’s principle of taking up challenges related to social life. Even though smaller section of this group ventured into social entrepreneurship after having a bit instinct of formal employment in IT or finance, the greater majority are inspired to follow in the footsteps and lifestyle of Gandhi. Therefore, the social entrepreneurs in India takes the form of traditional or global, whereby the traditional groups are inspired by the principle of Gandhi, while the global get inspiration of providing solutions from the professional expertise and market segmentation they have acquired over time. Social entrepreneurship like Aravind Eye Care Hospital has made an outstanding footprint on the lives of people, gaining a countrywide fame. Husk Power System has made a great impact on the lives of Indians since its inception in the year 2007. The Husk Power Systems has posted to be the most successful of the entire social entrepreneurship business model in India. Established less than a decade ago in the year 2017, as a venture to decentralized power and using husk as the primary raw material, a locally reusable biomass, the HPS has a significant step towards the realization of green energy. It received a lot of world recognition since its inception. Just a year after its establishment in 2008, it emerged the best company at the Darden Annual Business Plan awards at the University of Virginia in the United States of America, winning a cash prize money of 10,000 dollars, this has followed by a series of other awards. In 2010, the International Finance Corporation (IFC) injected in a quasi-equity arrangement a sum of $350.000 with HPS. At that particular time, they attracted a significant number of investors who liked the business model of the HPS, though afraid to invest in the off-grid power sector which they considered to be still evolving and had not gotten a good grip on the market. However, IFC saw the need to bridge the HPS fiscal gap, help them establish a stable and robust business model, and to assist in development standard commercial structures for better financial reporting and business sustainability. The IFC also helped HPS set-up Husk Power University for better soft skill development in training modules as this contributes to talent development and succession planning. The founders of Husk Power Systems Pandey and Yadav, both residents of Bihar had experienced a serious problem regarding non-availability of electricity during their childhood. Though they later moved to different cities, Yadav working in New Delhi and Pandey in Los Angeles, the power problem facing their village remained an unresolved issue in their minds. The need to supply low-cost electricity to the people lowest at the pyramid in their villages arose, but there was a challenge as the national grid could not reach every household in the village and even the resident who was earning less than $2 a day could not also afford the electricity bills even if it were accessible. The impediments above lead to the conclusion that there was an urgent need for a cheap, community-based and non-conventional system to produce and distribute electricity. The feasibility study required the enormous amount of investment and skilled human resources. How was this possible? They brainstormed and realized that the only non-conventional that would give out electricity for the least possible investment and the non-skilled workforce was the ultimate solution to the community problem. According to Pandey, the grid, and conventional power generation technologies had terribly failed to deliver universal energy to the starving section of their citizen. He goes further to state that it dawn on him that what was needed is an environmental friendly, low cost, and non-conventional energy source. In their initial try, they installed solar-powered lighting and also a generation of electricity from Jatropha seeds. But the amount of heat generated from these sources could not serve the large population they had. 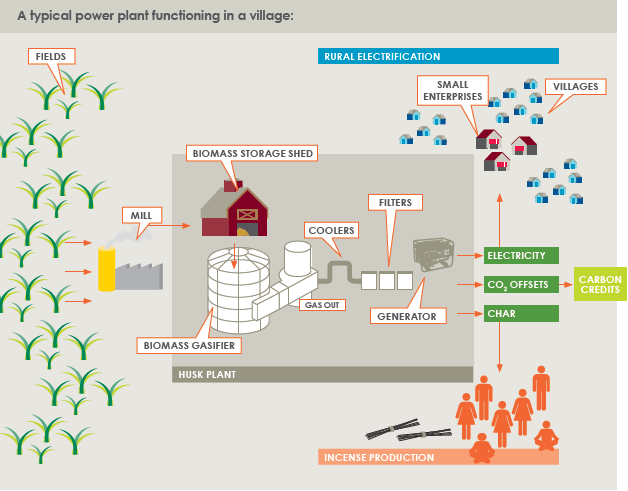 In their search for the better solution, they settled to try power generation from biomass-gasifier. Using a decade old biomass gasifier that had been used by rice millers for generating power and using the rice husk as the input to power the mill they were testing, they then thought that this system could offer a solution for powering the rural and other dark, remote areas because the raw material-husk was readily available. From the production output estimates, Bihar area alone had an aggregate output of 1.8 billion Kgs of rice husk annually, thereby settling on a blend to use both diesel and shell, though this too proved expensive. Hull alone also produced a lot of tar which could expose the village to significant health risk. They then design and developed their gasifier at a local workshop having a standard CNG engine that was customized to enhance its ability to produce electricity. With initial negative impediments, they were finally able to generate electricity by purely using the rice husk. The Indian Independence Day celebration on August 5th, 2007, also witnessed the commencement of operation of HPS at Tamkuha, a remote location in Shanahan region in the West Champaran district of Bihar. The community was excited that after sixty years of independent, they had finally gained freedom from darkness. The primary research goal examinated is the impact of social entrepreneurship and shared value initiatives in the development and economic empowerment of communities. Specifically, this project aims to get the deep insight on how the establishment and operation Husk Power System has impacted on the lives of Bihar residents in India. The impact of Husk Power System has taken the form of economic, social and environmental on the lives of these Indians. The study’s primary objective is to answer the research question below. Can social entrepreneurship offer sustainable alternatives to traditional business practices for value creation, and the economic empowerment of communities? The study is limited to the impact of Husk Power System as a social entrepreneurial and value creation activity to the economic, social or environmental impacts on the lives of the residents of Bihar, a village in India in which there was a venture on social entrepreneurship. The study focuses on the business model of the social entrepreneurial ventures that propelled it to excel making it have greater strides in getting global footprints. It will form a case study for other numerous social entrepreneurship networks that are currently operating in India. The study of social entrepreneurship is a vital and an eye-opener to residents of struggling third world country that sometimes rely on donor funding for their infrastructural projects, public fund misappropriation, complete importation of oil, and the everyday products. I see social entrepreneurship as a relevant way to help turn the situation around and empower communities. An analysis of the best model of social entrepreneurship gives an insight on the better model for the operation of the business, offering ways in which the shortfall in the current model can be enhanced to ensure realization of optimal benefit to strengthen further and improve the livelihood of country citizens. This chapter presents the literature review on Husk Power System as a social entrepreneurship venture to people in India, and goes further to analyze its environmental and social impacts on the lives of Bihar residents of India. The chapter outlines general review, the model of HPS in India and proposes an analysis of the concept. The chapter concludes with the summary of literacy finding and the framework adopted. As described by Martin and Osberg, a definition of social entrepreneurship has three components. First, through identification of an excluded or a section of humanity with a stable economy but experiencing unjust equilibrium lacking means for instance funds and resources of achieving its transformations. Secondly, the opportunity identified in this excluded area must have a social value, inspiration, creative, thereby the stable economy challenged. Lastly, ensuring that there is a difference in the new equilibrium whereby the sufferings of the target population alleviated and the brighter future seen. Therefore, social entrepreneurs heal a social problem through provision of a new equilibrium by creating income through the new ventures. Social entrepreneurship is a social network. A network is the connection of some individuals or organizations together. There are numerous ways of connecting to each other; for instance, through beliefs, relations, friendship and so on who meets at a common place. Therefore, identification of common areas that create links for people describes and draws an understanding on matters of the social network. Through Diani’s definition of the social movement that individuals identified have common goals, shared beliefs and meet regularly hence an informal networking, there is the assumption that social entrepreneurs are more than a mere social movement but of a new social movement which focuses more on solving the social problems. Social enterprises do operate in the complex atmosphere involving competition with fully commercial or state-subsidized business entities. Though some firms ventured into the niche which is hybrid in nature, they could not compete effectively with the already established companies. Some of the high niche areas with great opportunities for social enterprises and where the effort and resources injected by the grants or government subsidies could bring better returns necessary to be identified at the inception point. Even though these niches are neither fixed nor static, the entrepreneurs must always be flexible to keep in rhyme with the needs of the society. It is because the well established commercial ventures are modeling their business to cater to the lower class in the society, and government subsidies are readily available to inform of service terms. The types of a market niche that the social entrepreneurs ought to consider as discussed below. According to Smith and Darko, in the market of the very poor, the margin in business is petite, and risk tends to be so high comparable to that of the wealthy that has high stability. The economic field currently has an ongoing debate whether full-fledged commercial firms can model their business to serve the poorest of poorest at the bottom of consumer pyramid. The modified NGO model has strived but could not meet this urgent need as they are sometimes profit motivated. In the health sector, for example, the niche can apply as a better alternative to supply medical and health services to that part of the region the state provision is not available or is lacking. Some of the social entrepreneur servicing this market niche is micro-clinics which runs in the informal settlement of the time like Access Afiya and Viva Afiya. And for the case of rural area, we have a market niche selling affordable irrigation tools to small-scale farmers in the village, the case of Kickstart. This market may require a high-cost injection to stimulate demand in creating newer opportunities. Such markets work on areas such as situations that may need overcoming of stigma, acclimatizing the clients to more advanced technology, and need to challenge the perception services must always come from the state. These conditions may be temporary like the case of stigma on people living with HIV/AIDS need special effort to target such clients. Most of these social enterprises identified were dealing with social problems in which there was a complete boundary with the mainstream businesses. Such enterprises operated in a market niche like Provision of counseling to people living with HIV/AIDS and the marginalized group of the society. Others were providing micro insurance to farmers like the Kilimo Salama, though this got impediment in selling to low-income group who were not familiar with insurance concepts and payment plans. Last but not least there was the venture on information passage and enlightenment. This social enterprise in question supported small-scale farmers by offering support in their bid to adopt new farming methods and technology, like the case of KCT-Potatoes. These are essential equipment that the state has no capacity to operate and maintain. But it’s hard and not viable to be produced on a commercial basis. Like the case of Vietnam, the management of rice millers transferred its ownership to a non-state entity. The Millers were handed over to the rice miller’s cooperative society. These organizations then operate as a social enterprise by charging a small fee for covering maintenance and operation. One example cited in the study was the transfer of management and maintenance of irrigation canal system in Huu Duo Cooperatives. These are products with significant environmental benefits, but cannot be commercialized as a whole. Nevertheless, they may seem very commercially viable and other businesses may continue not to be productive. Such ventures include setting up production and marketing of organic vegetable products like the case of VRAT Company which deals with the production of organic fertilizer from the waste, like the Huong Hoa Cassava Enterprise. This venture only requires the support of such regimes like DFID challenger which calculates that the entire firm needs a cost for initial investment and training poor farmers on reduction usage of pesticide. However, looking at the Cou terin intuitive that such products marginalized, or that these limited market can create opportunities for the social entrepreneurs, the issue that such social enterprise is not better placed to compete fairer with the fully commercialized mainstream businesses in free competition market is supported. Microeconomic study of the economy advances in information technology as it has the ripple effect of lowering the transaction cost. For example in the process of micro insurance, members need to pay monthly premiums; they simply do at the comfort of their homes. There is also the opportunity of being the provider of market information through a web application or USSD code mobile application. For example, the case of Kenya there is high penetration of smart devices and robust financial solutions to support them. We have technological ventures such as M-Pesa, iHub, and mLab. The advance technology acts as drivers and inspiration to social entrepreneurs to create new processes and coming up with products and models that have the capability of meeting the social need. Finally, there is the opportunity when fewer bottlenecks are available in business registration operation and partnership agreements. This section analyses the theories that have influenced the successful implementation of social entrepreneurship with a case study of India. According to Martin and Osberg6, factors such as the influence from the west, cartography, conflicts between the Gandhian, global social entrepreneurs, and the environmental have significantly contributed towards the successful implementation of social entrepreneurship in India. The Western had a significant influence on the success of Indian social enterprise. This influence can be analyzed regarding the concepts injected, the techniques used and the goals assigned. To examine the component of the theory, we evaluate how the concept can transfer between the continents, channels that could have moved the idea, like the people or written materials. They had to traduce the idea to rhyme with the local language for it to gain full acceptance. The influence of the Western was momentous on social entrepreneurship. By using global Indians and Western Foundations, they were able to control the growth of social enterprise. They used the Indians in diasporas like the technical engineers and business student leaders who had resorted to going back work in Indian silicon valley that established in Hyderabad and Bangalore, also referred to as the silicon plateau because Bangalore is lying on a plateau. The organizational movement is vital prerequisite towards the success of social entrepreneurship. Requirements considered being nodes that fulfill the “structural holes.”. When there lacks a connection between two nodes, we believe that there is the presence of a structural hole. Prerequisite is hence used to enhance communication between two non-connected nodes. On the aspect of social entrepreneurship, these nodes must be identified and strengthen for sustainable success of such programs. Cliques are information groupings where the members bounded by a feeling of intimacy, membership, and a subscription to a common school of thought. A clique has three levels such as core, a first circle whose members may not be part of the group but do opt to take part in events, and the second loop in which members are not of the same group and are less excited to participate in events they have organized. The extent of the connections the nodes is a fundamental element towards the achievement of social entrepreneurship. Granovetter proposed four criterion that can assist in assessing the level of the strength of the said nodes. These are time( when the relation began), intimacy, emotional intensity, and other reciprocal services. There Degennne and Force proposes the fifth criteria as multiplexity. Weak ties allow for efficient information sharing between the nodes. Innovation has the existence of weak ties as its prerequisite. The closely connected network has similar information in their possession leading to less and less creativity although weak ties have the capability of feeding the system with information from outside hence helping them be more and more innovative. As indicated in the definition of social entrepreneurship in chapter one, the traditional social entrepreneurs draw their inspiration from Gandhi, and have a different view of social entrepreneurship as opposed to the global entrepreneurs who give the initiative a market value approach. While the global entrepreneur advocate for financial gain in the process of providing solutions to social problems, the traditional entrepreneur do not buy in the same school of thought, but rather would do it as an act of charity or a social activity. Gandhian social entrepreneurs believe in the following criteria; that the social entrepreneur must work in the rural setup, must be born and raised in India, are not focussed on making a profit, and are strongly inspired by Gandhi. The global India entrepreneurs are made up of individuals who have turned to social entrepreneurship after spending some times of their life either studying or working in a silicon valley. They either studied business or engineering with a very strong inclination towards technological cities in India such as the Bangalore and Hyderabad. They are also affluent, apply market-based and BoP theory in the development of their social entrepreneurship ventures. They see social entrepreneurship as an opportunity for business as well as a solution to the social problems. According to Littlewood and Holt, environment has a significant influence on the social enterprise. The two scholars used institutional theory framework to rewrite the new structure of a venture that is inclusive take into consideration the interplay between the various institutions involved. In their case study, Littlewood and Holt used six social enterprises in South Africa to study how the environment influenced the operation and success of social enterprises. Of greater interest in their study was how the contextual factors and institutional arrangements influenced the success of a social enterprise. They adopted Gartner framework in their analysis on the environmental impact. With the selective engagement of some of the Gartner variables, they were able to formulate three pairs of variables such as environment and the social entrepreneurship process; between environment and the social enterprise; and environment and the social entrepreneur. The figure 3.1 l below represents the Gartner framework that was adopted by Littlewood and Holt8 in their research to analyze the environmental impact on social enterprises in South Africa. The Gartner framework has also found a place in the analysis of other social enterprises like in US School of Social Innovation and European EMES. Adoption of Gartner framework together with criterions like social mission, and it intervening variables adds significant input to the analysis and understanding of social entrepreneurship processes. The introduction of the measure of legal reforms and restriction on profit distribution is seen as an effort to ensure the idea behind the social enterprise is maintained to the latter. The environmental component of the framework has a significant influence on the creation of new social enterprise venture. The operating environment components like the legal forms, the formal and informal institutions, quality of physical infrastructure and economic status of the region have a significant impact on the emergence and survival of such ventures. According to Littlewood and Holt8, research anchored on geographical orientation is crucial in unearthing the needs social entrepreneurs and in understanding relations between social enterprises and policy assessment. There is also the need to pay greater attention to the contextual and environmental dimension in social enterprise coupled with institutional theory. The approaches of institutional theory are critical in management discipline. At the centre of these institutional environment is a role of influencing the operations of the social enterprise. The environment in consideration is made up of made up of three key components such as normative, regulative and cognitive. The regulative elements are those state rules and laws that promote a given behavior while restricting other. The policy pillar represents the general norms, values, and belief that are considered acceptable by the citizens of that particular country. Finally, the cognitive component lays more emphasis on individual views of how and why certain behavior easily embed in the society. The environmental factors complicate the understanding of social enterprises, social entrepreneurs, and social entrepreneurship. Social enterprise is viewed from the aspect of the environment as an innovative combination of available resources in pursuit of opportunities to address social needs and act as catalyzers to socio-economical changes. Social enterprise can create new models that have the capacity of providing goods and services to the unsatisfied human need by the straining socio-economic institutions. Finally the social entrepreneurs from the percepective of environment are individuals who come up with the ventures in hich they input a lot of effort and dedication so as to realize their dreams. When social entrepreneurship takes the organizational approach, it has a bigger impact and authenticity in the eyes of the society, as opposed to when it is champion by an individual. The definition of the institution lies in its regulative, normative and cognitive structures in regulating and providing activities to the people for the provision of stability and social behavior significance. When launching a social initiative, the institutions have direct and indirect effects varying by poverty levels, level of unemployment; end even the development of the local society. For instance, complex regulatory rules imposed on forming social organizations can impact the social entrepreneurial activities negatively. Creation of structures within the institutional setting helps in attaining collective interests which aim to codify to either formal or informal laws. Furthermore, with the continuous evolution of the institutions, the roles played by the social organizations also evolves making the institutional setting in which the operations of the social entrepreneurs take place to be influenced. The government as an institution is in a position to affect the growth and development of social entrepreneurship in three ways. Firstly, they provide frameworks about regulatory laws (Leadbeater, 1997)12. This regulatory framework includes tax policies and fiscal incentives, laws governing the operation and closing of a firm and regulations capturing the labor rules. Secondly, the social organizations can receive rewards from the government, making them have a competitive advantage. They can encourage them by supportive award programs, funds for innovation and competitions amongst each other12. Finally, the government can positively affect the social entrepreneurship by developing and giving support to the broader ecosystem thereby acting as catalysts in cases of educational policies. By making available regulatory information within the social entrepreneur’s operations, the government promotes transparency. This information includes tax implication relevancy. The society’s institutional framework establishes production and distribution channels due to the political, social and legal laws, making the organizations conform to it. This structure makes the Institutions seen as favorable to the right strategies which in turn ensures that the businesses accumulate the capital and labor. The policy environment encompasses on how a community admires the activities seen from the social entrepreneurs which make them create value, and think innovatively. The figure 3.2 below develops a model discussing the three categories of the institutional environment and how they affect the social entrepreneurial process. Creating shared value is enhancing company’s competitiveness through policies and operating systems while the economic and social status is simultaneously advanced in the communities working. The idea of shared value unleashes next wave of global growth since it focuses on the connections between the progress of society and economy9. Value is defined subject to the stakeholder since the perception is subjected depending on the creation of its context. Before determining value, it’s appropriate and necessary for the identification of benefit recipients. Customers always view value regarding benefits from the products and services about the cost of purchase. According to Porter and Kramer, capitalism seems to be under siege and the only way businesses can rejuvenate themselves is by redesigning their products based on shared value. The recent years have seen business viewed as the primary cause of economics, environmental and social problems. Some companies have reacted to this societal view of by embracing corporate social responsibilities, even as more and more people blame them for the societal failure. This diminished trust in business has seen the political class setting in place policies that geared towards elimination of competition and structural adjustments programs to help spur the economic growth. But in spite of all this effort, businesses are still caught in the cobweb of vicious of negative perception and diminishing capitalistic market. Today, there is limited research on shared value prevailing making the existence of two major structures. Pfitzer et al. suggest one of the contributions that came up with a five steps guide describing a procedure and implemented and executed shared value. Porter and Kramer developed another framework that describes three ways a company can create economic value to the society. These methods include products and the market reconceived, productivity redefinition in the in the industry and supportive clusters building at company’s location. Numerous societal issues affect the company’s value chain. Things like health and safety, natural resource and water, conditions of working and getting treated equally in the workplace are some of the factors affecting the value chain. Since problems experienced by the society can create costs of the economy in the firm’s value chain, opportunities for creating value chain rise and internal costs inflicted by externalities such as government regulations, the significant improvements in environmental performance today are achieved with better technology which enhances utilization of resources, efficient and effective processes with quality. Needs such as wellbeing, safe shelter, healthy eating, financial securities and less environmental damages are some of the unmet needs in the economy. There is rapid growth in demand for services that meet the societal needs in advanced economies, rise in equal, or better opportunities arrived at when serving disadvantaged communities and developing countries. There is no recognition of the disadvantaged communities as viable markets, even though there is a need to focus the societies pressing needs. Today, countries like India have firms that ensure that billions of new customers access products and services despite the location. They provide relevant products to lower-income and disadvantaged consumers, hence societal benefits. The new opportunities for the development of the economy and progress in social status increased as the capitalism deployed in poorer communities increased. The company operation boosts the productivity, innovation and growth only if available skills are improved and available supporting institutions are in the communities. Groups embrace not only business but also establishments of educational programs, trade associations, and standardized administrations, drawing on the border public assets surrounding the communities such as universities, and schools, laws with fair competition, transparency in markets and quality standards. Productivity can also boost through training, related industries with services of transportation. Creation of open and transparent market is the key aspect of cluster building in both the developed and developing countries. The author conclude by saying that through the lens of shared value, decisions and opportunities looked at by every firm have created new approaches, generating company innovation and growth. The first step talks of embedding a social purpose which suggests that the companies should identify existing business forces and opportunities about the world-wide change. Step two is defining social need carefully. Any firm should pursue to ascertain the solutions to social problems and comprehensively gain the opinion about the harms regarding the affected people. Step three debates about measuring the social and business value, where before a company maps out the steps must ensure to finding a way of measuring received profits about the social development and its interdependency. The fourth step discusses the creation of ideal innovative structure whereby an there is creation of organizational chart that boosts modernization, experimentation and failure allowance. Finally, step five entails co-creation with external shareholders where the company identifies stakeholders by focusing on their abilities in which they can give a hand in business and social value creation. These shareholders include the NGOS, government, and other companies. The viewpoint of the value chain is that one is in a position to build a value-based strategy. Theoretically, through combining activities and value chain actors, the result of the joint creation of value is derived. Consumer surplus value is the value captured by the customers while the entrepreneurs are known as entrepreneurs surplus value. Therefore, this theory focuses more on how individuals achieve the created value. The acknowledgment that industries entail similar companies with the internal resources and strategy differences is clearly outlined in the resource-based (RBV) theory. Moreover, this theory explains how firms create competitive advantage based on the plans developed from the company’s resources. The company controls its resources such as assets, abilities, information and acquaintances enabling policies improving its efficiency and effectiveness conceived and implemented. The resources of a company are grouped into three; firstly, the firm’s physical assets such as technology, plant and machinery, geographic locations and raw materials accessibility. The second being human resources which include trained and experienced employees who are very intelligent. Finally, organizational capital that includes the structure of the firms formal reporting, planning informally and formally, casual relationships between the enterprise and its environment and the system of coordination. If a firm is in a position to implement a strategy that increases its usefulness, a resource becomes valuable. When the company’s current and potential competitors do not possess a resource, it means that the resource in question is rare. Corporate Social Responsibility (CSR) is making sure that a company portrays positive impact on the society throughout its existence. The process has experienced some opposition and criticism despite the increased advocacy for the performance of CSR activities by most of the existing companies. CSR activities create great opportunities for societal benefits which improve the economy regarding innovativeness and competitive advantages. Michael and Kramer argue out that the people tend to prefer shared value strategies over CSR because rather than CSR focusing on their interdependence, it creates tension between the business and society. The concept of CSR and shared value are used synonymously making their meanings somewhat ambiguous. Both the companies and society must recognize the existence of the interdependency between the organizations and society to enable them to integrate shared value in the business model of the enterprise. From every activity directed as a shared value chain, the company should be in a position to map its effects on the society by identifying both its negative and positive effects to the recipients. The company can not solve the social problems in the world, but they can determine their best equipped social problems they are in a position to resolve and gain competitive advantages. Economists have argued that the only way societal benefits can occur is when companies temper their success in the economy. Governments and Non-profit organizations have always solved the social problems, though currently, a reaction to externalities through Corporate Responsibilities have emerged, improving the firm’s reputations. Through this perspective, the strategies of businesses are shaped while the social and environmental considerations excluded from thinking economically. An instance of the poor farmers paying higher for the same crops does not promote fair trade which aims at increasing the revenue going to the poor peasants. Fair trade entails the overall amount of value created redistributed rather than expanded. Businesses need a thriving community not only in the creation of demand for its products but also the provision of critical public assets and environment which is supportive. Porter and Kramer say that provision of jobs and opportunities for creating wealth for the citizens is what communities need from successful businesses. Meeting fundamental societal needs, opportunities overlooked by companies and misunderstandings on how the value chains are affected by the societal harms and weaknesses seen. A primary focus is on the competitiveness of the industry of operation making the societal needs to be forgotten and failure in grasping the importance of broader business environment surrounding them. The companies focus on enticing consumers to purchase more of their product on a daily basis, hence focusing on the profit maximization. Moreover, many companies see themselves as global companies therefore, focusing more on the global competition and forgetting to recognize its nation as a home. As a rule of the thumb, running a business is not always easy, implying that running a social enterprise proves harder. According to the study carried on opportunities and constraints for social businesses in Vietnam and Kenya, the finding indicates that road infrastructure has the effect on convenient transportation and distribution of goods. Low level of security in rural areas significantly hindered the operation of clinics. Political instability though contributed to the decentralization of power, resulting in rising level of compromise to the law and high uncertainty delays in the implementation of social enterprise policies. Also the hybrid nature of the economy and social enterprises are affected by constraints such as inaccessibility of finance, small human capital, availability of the market, regulatory and legal constraints, lack of proper organization management, specific sector constraints and finally a host of other issues. Access to funds has remained a major impediment to the growth and sustainability of social enterprises. Like the case of Kenya and Vietnam, banks are less willing to offer grants to such ventures, and the only source of their funding are NGOs and donors. The enterprises were depending wholly on their internal resources and grants. The limiting access to financing may see as unavoidable to the social enterprises, but it limits these companies from self-orientation to meet their customers need that keep evolving. The sectors that have registered themselves as NGO are faced more with financial challenges. The question we are asking ourselves is why would the social enterprise’s access funds as a government subsidy, impact investment or donor grants? Other financial analyst players argue that the financial institutions view as small in capacity with less absorptive capacity. There is also the bit about the lack of intermediaries on the case of social enterprise and social investor who lack the expertise in presenting a winning business to the finance institutions. On the other hand, the social entrepreneurs reported that established sectors are available but would rather deal with commercial viable and established firms as opposed to a social enterprise that seems amorphous and less developed. Some of these businesses also lacked the necessary information to potential lenders and investors, giving the impression of low-level establishment in intermediaries to link investments and investors.The incorporation of support organizations could help this social enterprise put forward a dangerous business that that financier will find hard to reject. The social enterprises face challenges about human resources. Workforce issue prevalence in hybrid organizations which are special in their operations. In the case of hybrid organizations, the establishment is by founders who are highly committed and fascinating, thereby finding it hard to institutionalize and hand over responsibilities to the organizations. In the case study of Vietnam, many enterprises were run by their founders, making a few to recruit their managers. The research found out that out of 12 businesses, it’s only three that contract their managers. Since hybrid institutions require skilled hybrid personnel, getting the combination is hard. For instance, lack of business skills and orientations is an issue for enterprises with the background of NGOs. Profits for social enterprises is constrained making them have difficulties in paying competitive salaries, and so they rely on the commitments of staff to work towards the companies goals and objectives of maximizing the profits for competitive wages. In the case of Kenyan survey, poaching of staff from social enterprises by the businesses has been a problem since the firm plans tend to pay higher salaries. Another study in Kenya says that social enterprises experience difficulties in recruiting staff to work in remote areas with poor infrastructure. For instance, Kenyan trained doctors, and nurses apply for jobs in abroad, resulting to the Kenya National health system experiencing understaffing. The availability of skilled labor has impacted negatively social enterprises working in poor and remote areas. The niche markets, particularly those at the bottom of the pyramid are the primary focus of social enterprises. In some communities, people are not used to paying for services provided making the businessmen trying to penetrate the markets give up quickly. Furthermore, the companies experience laxity in spending of purchased goods by the potential customers who are used to free or subsidized goods provided by the NGOs or the government.Carelessness on the part of customer the Kenyan Agricultural social entrepreneurs in the case of farmers who tend to get a free supply of farm inputs from the government making it difficult to pay for products. Technological issues tend to make market penetration difficult since the requirements for poor communities is high. Improved technology is seen through illiteracy level in remote areas, making it difficult for the information and extension services to reach many. Legal issues is another constraint limiting the social enterprises to maneuver in the market. Some of the problems arising are the tax compliance, which without, one cannot get government biddings. The legal issue occurs when the income is not taxed. All enterprises experience Management matters, making it something standard. However, this constraint is evident for those NGOs that have converted to social enterprises to make some profit. These companies experience poor business planning which makes them use same ideas and business plan and strategies from their experience. Another issue as a management constraint is accountability which the enterprises faces since they have difficulties in producing financial records for the tax compliance filed. Survey says that both the non-governmental organizations and social enterprises have strict conditions in times of rule and policies, resulting into inflexibility with internal problems. Besides, with no standard methodology assessing social impact, some social enterprises face multiple challenges when is new entry and penetration of the markets. Therefore, to curb this, social enterprises focus on the provision of technical and business support. In summary, benefits arise when there is organizational support by the social businesses in which their reach widens, effective coordination of efforts, adjusting the services they offer; thereby customizing to better social enterprises. According to IFC, Husk Power Systems (HPS) is decentralized power generation and Distribution Company operating in rural India. It was invented to use biomass gasification technology capable of generating electricity efficiently as the conventional biomass gasifier though at a little scale. The power generated has enabled the company to serve several households in Bahir region of India. At the point IFC was carrying out this survey, HPS was serving 250 villages and provided employment to 350 people. HPS is lead by great skilled first-generation social entrepreneurs Gyanesh Pandey, Ratnesh Yadav, Manoj Sinha, and Charles Ransler. This idea for social entrepreneurship won several competitions on business plan across the United States, and they made up their mind to implement their idea in the state of Bihar. Besides IFC, other companies such as Cisco, Acumen Fund, LGT Philanthropy Foundation, Draper Fisher, Oases Fund, and Jurvetson also have equity stakes in the HPS’s shares and bonds. According to Agarwal and Satish, in June 2011, HPS as social enterprise in Bihar state, eastern India won the most value award of Ashden Awards for Sustainable Energy. This award considered the “Green Oscar Award,” and received by the HPS Chief Executive Officer Gyanesh Pandey who plunged by his Acumen Fund counterpart Jacqueline Novogratz. For this occasion, HPS received a cash award of £120,000 as an appreciation towards their tireless effort to light up the poorest of the poor in rural India. Even as of September 2012, electricity supply still remained a big problem for the Indian government even though they had the fifth largest electricity generation capacity in the whole globe at 207,876.04 Mega Watt (MW). More of the rural parts of the country could not supply from the national grid. According to experts, close to 125,000 villages harboring around 400 million Indians lack electricity. And an additional of 160,000MW needed to be added by 2018 to meet the need of this second fastest rising economy in the world. Expert data indicate that even the Megacities of India experience more than 360 hours of power rationing annually while tier two and three cities do experience power ration to the tune of 10 a.m. annually making the situation somber in Bihar which is the third most populous state in India. However, things changed when HPS constructed their first electricity generation plant in Tamika, Bihar on August 15, 2007. The data from the official website of energy department of Bihar state indicates that of the 45,000 villages, only 18,217 villages that constitute 40.38% of the total villages are connected to power. The state electricity generation board showed that only 2.18 million consumers were connected out of the 100 million population of the state within the eighth transmission circle as of March 2009. It was this power crisis that became a catalyst to drive the entrepreneurs, Pandey and Yadav to formulate a sustainable business model towards assisting this social need. The HPS adopted a demand-driven approach model for their business growth. They quantify the imminent power demand in watt-hours. Each household is obliged to pay an installation fee of Rs. 100. This money matters for safety compliance, and part of it used in grid expansion charges. According to IFC, this power cost is cheap and can easily be afford by the base of the pyramid customers. Its target market is the low-class states that previously not connected to the national grid; these countries are Bihar, Orissa, Uttar Pradesh, and Jharkhand. Most of these residents live on less than US$2 per day. The figure 3.3 below illustrates the model guiding the business of HPS. The HPS business model has four sub-components given acronyms as BOOM, BOM, BM, and BTM. These revenue generation models for HPS are elaborated further in the next paragraphs below. The BOOM is an initial for Build, Own, Operate and Maintain. Being the first model at the inception of HPS, the BOOM is the key role of HPS as they charged with the responsibility of building, owning, operating and maintaining the power generation plant and distribution system. The revenue generated from the customers in the form of fees and each plant needs four human resources for its operation, each serving roles as an electrician, husk loader, collector, and operator. BOM is an acronym for Build, Own and Maintain. In this model, HPS puts up the power generation plant and operates it for a fixed period six year as the local operator pays and explain the monthly installment of Rs 15,000 and deposited lump-sum investment of Rs 2 Lakh. They then sell it to an independent operator to do the maintenance. The independent operator is in charge of meeting cost related to the operation and collects the revenue. There is addition of staff empowerment to the purchasing price with repair and maintenance fee provided at the fee-for-service basis. HPS also assist in marketing and maintenance of carbon credit levels. For this arrangement, HPS does the operation and maintenance for a fixed period of 6 years. BOM is an acronym for Build and Maintain. In this model, HPS builds the electricity generation plant and provides maintenance for an agreed period of time with the independent operator. The independent operator has the full control and ownership of the station. All financial related cost or subsidies are transferable to the local independent operator. HPS bills the player Rs. 15,000 for the cost of plant AMC, with no regular maintenance charged on a fee-for-service basis. BTM is an acronym for Build, Train and Maintain. This model was formulated to help in the expansion of HPS in Bihar together with other neighboring territories. HPS provided all the necessary technological know-how plant equipment in conjunction with the knowledge base for the purpose of training the team before bringing them on board. They also provide periodic maintenance and repair as supported by the AMC. Above all these, HPS also facilitates the marketing of the by-products like char through an agreement it had made with government or affiliate partners financial support. The BTM model forms the primary focus of HPS in its market growth plan; putting in place processes, training, and development infrastructure, and technological knowledge base to facilitate its growth as the leading off-grid power solutions provider. 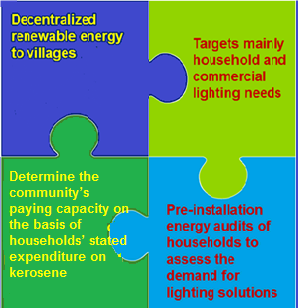 The key drivers for these four HPS business models were; the high demand for affordable, reliable and sustainable power in rural India, the readily available supply of husk as a leftover after rice processing and the government policy that supported the off-grid energy solutions. According to the IFC report, the shell power business model resulted in the installation of 72 electrical power plants that served more than 30,000 households in the remote village of Bihar. Total customer savings was US$1,25million, as compared to the most expensive alternative that could have to save only US$17 per household per year. Finally, there was the creation of job opportunities as more than 358 locals were employed to assist in the operations of the plants. The concept model for the operation of HPS power plant is as indicated in figure 3.4 below. In examining the incidence of HPS on the lives of Indians, we consider the created shared value that both the company and the community have gained by implementing this innovative social entrepreneurship venture. The extended and integrated framework by Aru and Waldenstrom to analyze the shared value created as demonstrated in figure 3.5 below. The framework analyses both the internal and external value creation components and their related dimension. The internal elements represent the firm and its internal capabilities, while the outer parts have its representation as the company stakeholders. The arrows represent the value chain realized and delivered to the stakeholders and those gains that the organization receives in return. The internal elements box illustrates the firm’s value creating resources that are sources of its competitive advantage. These are valuable, rare, not easily imitable and non-substitutable resources; classified as physical, organizational or human capital. These are part of components forming the company’s competitive advantage. For the case of HFS, these could represent their innovative and unique business models such as the BOOM, BOM, BM, and the BTM models. 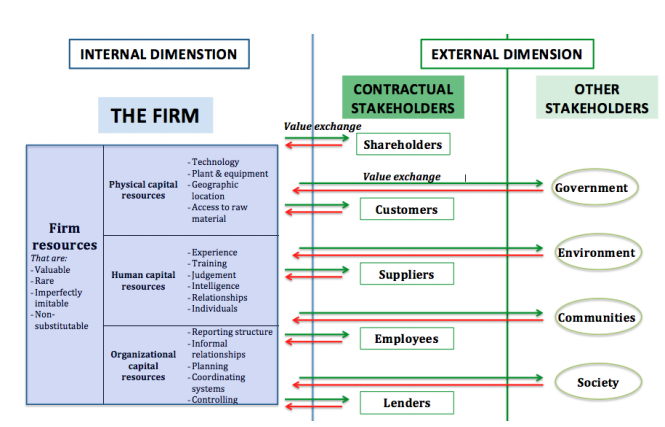 The limitation of this framework built on an existing literature covering both small and large firms might have a different prevailing environment of operation. It will be a model used in the formulation of the conceptual framework used in evaluating the shared value created by the HPS. From the value chain model, we derive the intervening variable that affects the quality of final product that changes the lives of this distinguished citizen who were in total darkness. The national grid could not be distributed to connect to them, and the extent of their income was also little to afford their hefty bills that would have come by connecting to the national grid. The shared value variables identified here are classified into three broad groups as having economic, social and environmental impacts on the society. The table 3.1 below gives a further analysis of the individual components that acts as indicators for these constructs. Economical Impact The shared value has the effect of increasing the level of income and living standard the locals and state as a whole. Employment opportunities created. Better communication as mobile phones can quickly charge. The figure 3.6 below hence indicates the relation between these shared values to the level of impact they have had on the lives of these citizens. Husk Power Systems has an ambitious expansion plan based on its globally recognized and award winning business model. The exponential rise in the demand for off-grid power in their home country and the world as a whole as been also the motivating factor for this bold expansion plans. HPS plans to expand their business to other states in India like Uttar Pradesh, Maharashtra, Tamil Nadu, and West Bengal. Out of India, it plans to venture to the markets in other countries such as Ethiopia, Tanzania, Bangladesh, Uganda, Indonesia Nepal, and Cambodia. HPS had expected to cover 6,500 villages by 2014 resulting in the creation of 7,000 employment opportunities to the local people. It will also go along in saving 750,000 tons of carbon dioxide (CO2) and also a revenue generation to HPS to the tune of US$ 50 million from more than 5 million people by the year 2014. However, for this ambitious plan to see the light of the day in India and other parts of the world, the HPS need to attract new and more findings; they still have to convince the potential partners that their business model is still the best, and would work well in other developing and undeveloped countries. It had employed in India indicating to them that this is feasible that they can be able to convince them to put in their equity so that they get more fund to set up more and more plants in their predetermined locations, states and countries. From the onset, the success of HPS in Bihar mainly attributed to the high familiarity to the local knowledge that its founders had. The cornerstone is that before setting up any plant in these intended areas, the HPS must do a thorough feasibility study. This includes an understanding of the local knowledge, inspiring the local people and considering the local context deeply so as they can penetrate the countries they are planning to do its expansion plan. For the donor partners, they will only be convinced to inject in their resources once HPS lay bare their cash flows and management of their revenue sources. The revenue can only realize that there is betting demand for the product. The popular misconception is that the people do not give priority on electricity expense, hence the investors must take their time and decipher this misconception for them to realize any revenue from their investment that must come from this same people. According to Simon Desjardins who is the Shell Foundation program manager, he disputes this misconception, by saying that if the resident of Bihar of India who was at the bottom most of the consumer pyramid and was poorest of the poorest could afford to pay for electricity to have HPS service, then anybody who desperately in need of something will sacrifice for it however little they have. HPS was highly optimistic about the source of funding for their planned audacious expansion. As alluded by Vandana Gombar, the Bloomberg current energy finance analyst. He says that people are more ready to inject their investment in social entrepreneurship ventures than never before, and with the visibility of immediate opportunities, there will be more and more availability of equity funding. A confident Husk Power Systems has its planned expansion pegged on the needs and wants of the remotest rural common man. When their desires are met, there goes a greater contribution towards the development of a country. As emphasized by Pandey, the Chief Executive Officer of HPS, the Indian vision for growth and development are mostly pegged on the rural development in the spheres of education, power, healthcare, and women empowerment. The coming years will see HPS implementing programs whose needs are of high priority to the rural people. HPS as a social enterprise not only hold accountable by its shareholders, but also by the government of the day and the community who are either impacted positively or negatively by their venture. Confirmation on the challenges faced by this project, Pandey says that their biggest impediment had had the right human capital to work and deliver excellent service to the power plant. But there is also the need to convince the villagers about the aspect of the project impacts on their lives. There is an on-going need to supply the right human capital and plant to support the future growth strategy. At the inception of HPS, they started buying rice husk from the rice millers, but no sooner had the militaries realized that there was money value attached to the hull, than they began hoarding the shell, making it unavailable for the production of electricity. To better tackle this challenge, HPS came up with a unique initiative by setting up their rice millers and offered to dehusk farmer’s rice free of charge; this made other millers who were charging the locals for dehusking were soon out of business. This rice milling was not the core business of HPS, in the end, they entered into a partnership with the local millers with an agreement that they will be buying their rice husks at an affordable price for a contract period of six to eight years. As a measure of good gesture, the local millers were to reciprocate by stopping the hoarding and HPS stopping free dehusking. The early days also saw HPS face severe regulatory impediments. According to Indian Electricity Act 2003, those who did off-grid power generation and distribution in the rural areas needed no license, but for the case of HPS which had more than 25 electricity plants, Official of MNRE noted that the state government did not elaborate the scope of what is considered the rural area. Nevertheless, the HPS would have had no obligation, but to close all their plants were it not for the clause in the Electricity Rules, 2005 that saved the life for HPS. The clause stated that all areas that were under the authority of panchayats were considered rural homes, which was luck for HPS as was exhibited by some real people. According to financial analysts, financing the projects would have been a great impediment towards the success of HPS had they not won the numerous prizes awards competitions in the early stages of its inception. The early stages when the off-grid power ventures were amorphous. The banks and other financial institutions were more reluctant to finance such projects. More especially was the location of the project-Bihar which was considered remote, inhabited by small class and could not attract many businesses or industries. The analyst goes further to allude that getting a financial funding for any business venture was an uphill task like the case of HPS. For the HPS the biggest challenge was getting this right mix from different partners to enable them to live to their audacious dream to the leading off-grip power solutions provider, in coming up with an affordable source of power to disadvantaged people of Bihar village. The right human talent to do the job was the major hurdle for the HPS. It was hard finding the right people educated with the right skill to do the job. The literacy rates in the village were so weak, and those who had gone to school migrated to other towns or had secured jobs other places both local and across the globe, like the case of Pandey who was in the United States. The initial HPS plan of scale up was setting up five electricity plants per week, but each of these plants, needed three to four human resource to operate them which was hard to find. With this ambitious rate of expansion, HPS would need to have trained 2340 persons in a period of three years. Nevertheless, there was no government nor private sector infrastructure at the local that could have facilitated the training of the personnel. HPS responded to their immediate problem by initiating the Husk Power University in Bihar. The university was unique in its model as it trained people on the various skill required for successful implementation of rural electrification. Sinha confirmed this by saying that though training is not a core objective of a power generation company, they were obliged to do so as it was essential for the future survival and sustainability of competitive advantage. This chapter gave an in-depth literary review on the concept of social entrepreneurship, social enterprise, and social entrepreneur. It went further to give deep insight on how social entrepreneurs use the concept of shared value creation to model their business hence creating a sustainable competitive advantage to ensure the long-term survival of their business. The chapter gives frameworks adopted for better-shared value creation. It then compared how HPS took this concept and model in their formulation and scrutiny of their world-renowned business model. The chapter closes by proposing a conceptual framework that this study can utilize to help in analyzing the extent to which social entrepreneurship and shared value creation have impacted the life of the society by basing a case study on the award-winning social enterprise of the Husk Power System of India. For the case of India, the study proposes an analysis of HPS impact based on the main broad areas through which their influence has created a lasting footprint in India, and left an unerasable mark in the hearts of its citizen. These three categories of analysis take the form of economic, social and environmental impacts. This chapter elaborates on research methodology; it captures the research design, data collection, and data analysis. The episode helped to fulfill the objectives of the study. 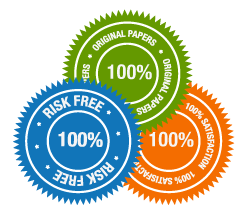 A detailed research entails collection of data for testing hypotheses for either acceptance or rejection, to answer the status of the study statement. The study made use of descriptive design to report on the situation of the variables. Descriptive statistics assist in describing characteristics demography of research sample. It does not give an analysis or report to answer the objectives of the study. Rather it addresses what question hence detailed review is perfectly fit for the research question. This study explains the topic examining the impact of social entrepreneurship and shared value in the society. The study entails the use of secondary data obtained from the following sources such as Husk Power Systems website or the websites of their Acumen Fund and IFC. This information will indicate the changes in these data on economics, social and environmental impacts of HPS on the lives of Indian citizen from its inception in the year 2007 to 2016. Though other third party sites like the state government could also be used to give statistics of how the power usage has improved the uptake and has been immense to the village of Bihar since the installation of the power station by Husk Power Systems. This section presents main steps in chronological form how the study will be carried out. The primary measures involve identification research subject matter. In our case, we settled on social entrepreneurship and created shared value impact on the society. The next step involved the review of literary work o this subject matter so as to analyze the theoretical framework to assist in formulating the conceptual framework for use in this study. Close to 12 academic books and journals reviewed, step three involved the collection of already available empirical data on the impacts made by HPS to the Indian people.These are to be analyzed based on three categories as the impact on economics, social or the environment; which are also correlated with each other to see if there exist any relationships. The last step in this project involves drawing a conclusion from research findings based on the research objectives, in addition to that recommendation and hypotheses for future study on the same subject matter are proposed. The researcher used multivariate regression model in data analysis to confirm the existence of a relationship between the dependent and the independent variables. However, the study also used statistical package for social sciences: SPSS version 22; it assisted in descriptive and inferential statistics analysis for data analysis. Some people affected/Total number of individuals in that state/village. X1 = Economic Impact on the village. It is measured by changes of income saved, some people employed, and the revenue generated from the sale of char or incense. X3 = Environmental Impact. This is a measure estimating the amount change in home pollution in the form of carbon that has reduced over time. Y was the dependent variable extent of the impact of social entrepreneurship on the lives of its citizen; β0 was the regression constant or Y intercepts β1β3… βn were the coefficients of the variables in the regression model. 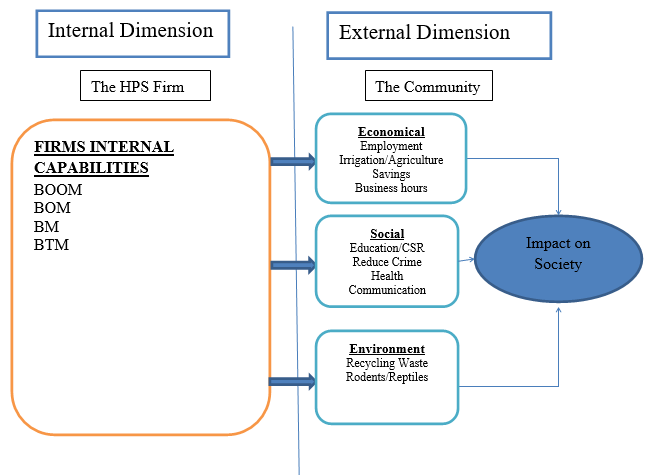 The basis of the model was to help in determining the extent to which economic, social and environmental impacts of HPS contributed to the overall shared value created by the HPS social entrepreneurship. Correlation used to establish whether there exists a relation statistically between the variables of on economics, social and environmental and the extent of shared value created. For reliability to be acceptable on the part of secondary data used, the Cronbach’s Alpha must be at least 0.7. It is worth noting that for any social science research, a Cronbach Alpha coefficient of 0.7 or higher is acceptable for the study. For the better realization of these possibilities, all the stakeholders involve having a role to play. The government, the support organizations, and the social entrepreneurs have their functions, and they must execute it in the best way possible for seamless service delivery by the social entrepreneurs. The government rules and regulation should be in support of the growth of social enterprises by ensuring a fairer competition between the parties involved. Their support to infrastructure will go along in helping them thrive and in survival of these ventures. The offering of subsidies and financial or non-financial support on their part was crucial in supporting such enterprises. The supporting organizations such as donor, providers of consultancies on technical aspects of the business, social investors and incubators must make a clear distinction on how they are supporting the private sector, hybrid, and a fully-fledged social enterprise so as to eliminate competition and allows for the survival of the social ventures. Donors and local support of the state officers in the ground are also essential to fostering success for these ventures. The social enterprises need to understand the laws and regulation guiding their work so as not to be caught not following the same the law of the land. They need to enhance their internal capacity on business planning so as to win the hearts of the financiers, strengthen with management within their set up. With such managers at the helm of the firm, they cannot achieve substantive growth causing such leaders proving to be visionless in steering the company to higher heights. Finally, they should align their business model to reflect the need of the society by setting possible performance and impact key performance indicators that merged with the social indicators to the solution of such social problems. Aru, S., & Waldenström, L. (2014). Shared Value Creation-For a Profitable Business and Healthy Society. A Multiple Case Study of Swedish SMEs. Diani, M. (2003). Networks and social movements: a research program. Social movements and networks: Relational approaches to collective action, 299-319. Gupta, R., Pandit, A., Nirjar, A., & Gupta, P. (2013). Husk power systems: bringing light to rural India and tapping fortune at the bottom of the pyramid. Asian Journal of Management Cases, 10(2), 129-143. Kramer, M. R., & Porter, M. E. (2011). Creating shared value. Harvard business review, 89(1/2), 62-77. Lawrence, E. J., Shaw, P., Baker, D., Baron-Cohen, S., & David, A. S. (2004). Measuring empathy: reliability and validity of the Empathy Quotient. Psychological Medicine, 34(05), 911-920. Littlewood, D., & Holt, D. (2015). Social Entrepreneurship in South Africa Exploring the Influence of Environment. Business & Society, 0007650315613293. Michael, B. (2003). Corporate social responsibility in international development: an overview and critique1. Corporate Social Responsibility and Environmental Management, 10(3), 115-128. Pfitzer, M., Bockstette, V., & Stamp, M. (2013). Innovating for shared value. Harvard Business Review, 91(9), 100-107. A person, M. (Ed.). (2014). Case Studies in Social Entrepreneurship: The Oikos Collection Vol. 4 (Vol. 4). Greenleaf Publishing. Vyas, V., Raitani, S., & Mathur, V. K. (2014). Social entrepreneurship and institutional environment in an emerging economy. International Journal of Social Entrepreneurship and Innovation, 3(2), 106-121. Warner, W. L., & Lunt, P. S. (1941). The social life of a modern community. This section represents the tool used in the data collection and a picture of the firm’s model. For this instance, it represents the data collection form from the secondary sources. It gives the statistics of the variables identified in the conceptual framework used in measuring the extent of HPS shared value on the community. We represent data from the inception of HPS in 2007 to 2015. CSR– Acronym for Corporate Social Responsibility which is an act by commercial ventures to give back to the society through support to less fortunate, or offering support to social enterprises to assist them to advance their course. IFC– Acronym International Finance Corporation. It’s an International Finance Organization that advance finance to viable business ventures worldwide. NGO– NonGovernmental Organization; this is social enterprises that are hybrid in nature; they have the outlook of both commercial ventures and social enterprise. Social enterprise– Business ventures involve in advancing solutions to social problems. Social entrepreneurship – the process whereby people or an organization builds a transformation based institution that advances solutions to social problems. Pirson, M. (Ed.). (2014). Case Studies in Social Entrepreneurship: The oikos collection Vol. 4 (Vol. 4). Greenleaf Publishing. Diani, M. (2003). Networks and social movements: a research programme. Social movements and networks: Relational approaches to collective action, 299-319. Smith, W., & Darko, E. (2014). Social enterprise: constraints and opportunities–evidence from Vietnam and Kenya. ODI. www. odi. org/publications/8303-social-enterprise-constraintsopportunities-evidence-vietnam-kenya.